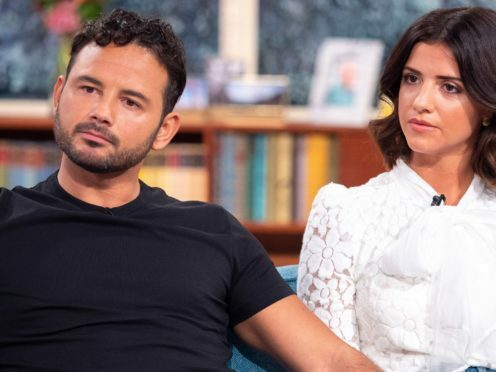 The soap star, who beat American actress Kirstie Alley to be crowned winner of the Channel 5 series, was at the centre of an incident that saw housemate Roxanne Pallett wrongly accuse him of “punching” her. Pallett quit the show following the incident, but returned for a belated exit interview during which she told the show’s host Emma Willis she had got the situation “massively wrong”. Pallett also appeared on the Jeremy Vine show and publicly apologised to Thomas. Asked how he feels now about the situation, he told Holly Willoughby: “The most important thing for me coming out (of the house) is family and friends, being around loved ones. Big Brother was a lonely place for me at times and I don’t want to look back at that experience as a negative. “I know how much that show can have a massive impact on a person like Roxanne and I don’t really want to be a part of it. I don’t really want to fuel it and I know Roxanne will be having a lot of backlash for this and why do I want to fuel that situation, be responsible for it, it’s not something I want to do”. Former The Only Way Is Essex star Mecklenburgh said it had been “horrible” watching Thomas go through such strife in the house. This Morning’s Phillip Schofield asked Thomas about a letter of apology that Pallett is believed to have written and which Schofield alleges is still with the Celebrity Big Brother team. Channel 5 has been contacted for comment.